1) Hand the spectator a small locked box to examine and hide away in their pocket or purse etc. While the concept was simple, making a box capable of invisibly accomplishing the task proved far more difficult. 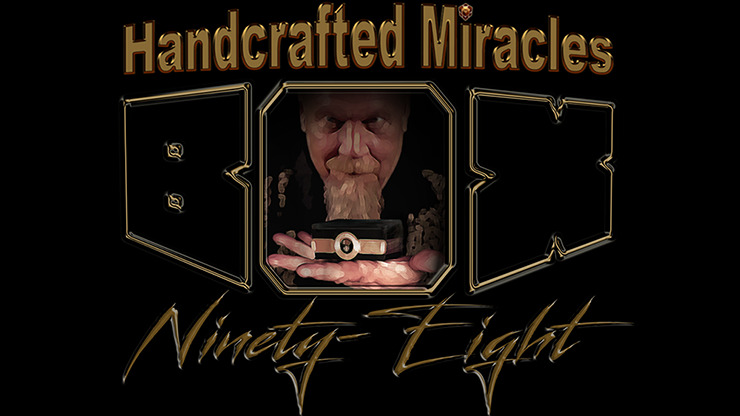 After three long years of designing, CAD programming, and failed prototypes (ninety-seven of them to be precise) Handcrafted Miracles is pleased to release Box Ninety-Eight to friends in the mentalist and magic community. Box Ninety-Eight is as close to the perfect worker's dream as Handcrafted Miracles could create. Those who are familiar with them know that they have no interest in misleading ad copy or videos so with that in mind consider the following, which any working magician or mentalist will certainly appreciate.